To recognize the 125th anniversary of nurse anesthetist education and the role of nurse anesthetist at Mayo Clinic, Sharing Mayo Clinic will include a special series of posts throughout the coming year. 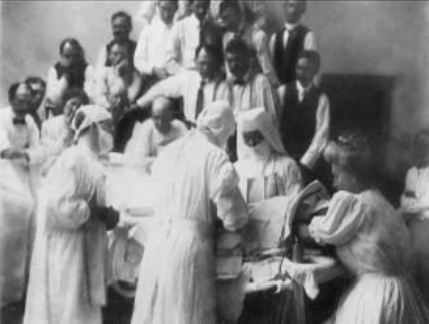 These vignettes will describe how nurse anesthesia education has changed over time and will highlight influential Mayo Clinic nurse anesthetists. Those featured received their education at Mayo Clinic and went on to be instrumental in providing anesthesia education and make significant contributions to anesthesia practice. One of the most celebrated, internationally recognized pioneer nurse anesthetists from Mayo Clinic is Alice Magaw. Her five published articles between 1899 and 1906 in medical journals detail the technical aspects of administering open drop ether anesthesia. Her research and clinical findings set new standards for safer delivery of anesthesia in those early days. Visiting surgeons who came to Rochester to observe the Mayo doctors perform surgery noted the skills of this nurse anesthetist and sent their nurses to Rochester to learn the art of giving open-drop ether. Even physicians from around the world noted her techniques in correspondence they sent related to their Mayo visits. Magaw’s legacy is the delivery of 14,000 anesthetics without a single anesthesia-related death. She was given the title Mother of Anesthesia by Dr. Charles H. Mayo. Magaw moved to Rochester with her family in 1882. She befriended Edith Graham, who encouraged her to go to nurses training. Both women attended the two-year nurses training course at the Chicago Women’s Hospital and graduated in 1889. Magaw moved back to Rochester in 1893 and worked first as a staff nurse at Saint Marys Hospital. She learned to give anesthetics from Edith Graham, wife of Dr. Charles H. Mayo and the first trained nurse and anesthetist at Saint Marys Hospital. From 1893 to 1900, Magaw was the sole anesthetist for both Dr. Charles and William Mayo. The Mayos entrusted Magaw with many responsibilities, and she traveled with them to many professional medical meetings throughout the country. In 1908, Magaw married Dr. George Kessel, a noted surgeon from Cresco, Iowa. 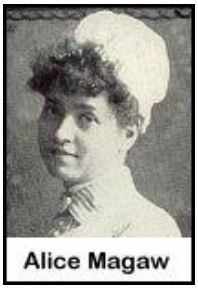 She then returned to work in Rochester in 1919, administering ether anesthesia until 1925. Her published articles about safe anesthetic delivery, patient assessment and vigilance anchor her place in anesthesia history. A recently discovered anesthetic record with Magaw’s signature shows her documentation using patient assessment rating scores, similar to that used by nurses today. Joan Hunziker-Dean is a certified registered nurse anesthetist at Mayo Clinic. Learn more about Nurse Anesthesia Education at Mayo.